The Parliamentary committee on Commissions, Statutory Authorities and State Enterprises has summoned eight companies that were contracted under the National Agricultural Advisory Services programme to supply farm inputs. This is after it was found that the purchase and distribution of inputs to farmers is not supported by lists of beneficiaries or acknowledgement by beneficiaries, according to the Auditor General’s Report for the financial year 2013/2014. The Committee chaired by Bugweri county Mp Abdu Katuntu wants the companies to provide evidence of their supplies, in response to queries raised in the Auditor General’s Report. 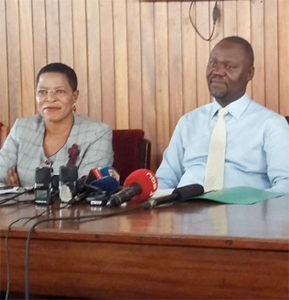 Mr Katuntu said the interface between MPs and companies will enable the Committee to ascertain whether the Shs3.9 billion farm inputs purchased match what the records show. The companies summoned include Equator Seeds Limited, Victoria Seeds Limited, Grow More Seeds and Chemicals, Pearl Seeds Limited and Tropical Agro and Advisory Services among others. 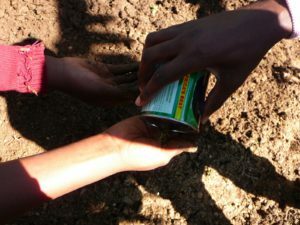 “It was reported that theft of NAADS inputs was common under the community procurement system due to connivance between the beneficiaries and suppliers. In some sub counties, farmers borrowed goats from their neighbours that would be presented to the auditors for verification. The funds that were earmarked for procurement of goats would then be shared between the farmers and input suppliers,” the report states in part. The approved budget for the NAADS programme during FY 2013/14 was Shs178.37billion. Of this, Shs47.12 billion (26%) was for the NAADS Secretariat and Shs131.25 billion (74%) was for local governments. A supplementary of Shs30 billion was provided to the programme, bringing the revised budget to Shs208.37 billion . The companies are scheduled to appear before the committee tomorrow, Thursday.